In 1969 a group of students formed the Asian American community newspaper Gidra, which raised awareness of the Asian American Movement and activism in Asian American communities. The newspaper began at the Asian American Studies Center at UCLA, covering the fight for ethnic studies on college campuses. 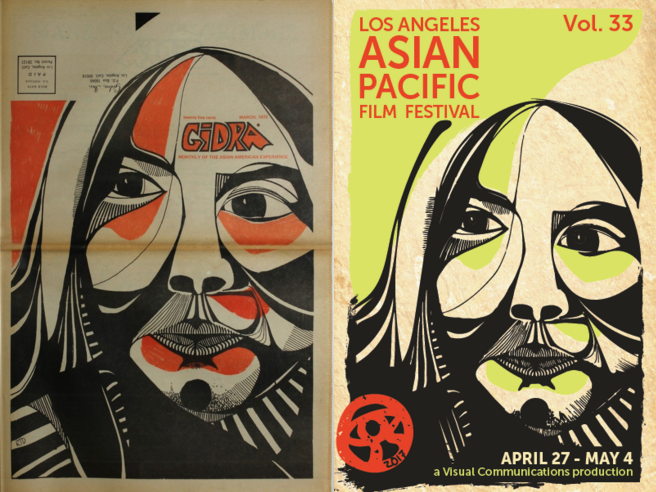 Artist Richard Tokunaga’s self-portrait was on the cover of the March 1972 issue, and today, his self portrait is the inspiration for the key art of the 2017 Los Angeles Asian Pacific Film Festival, designed by Jacky Tran. 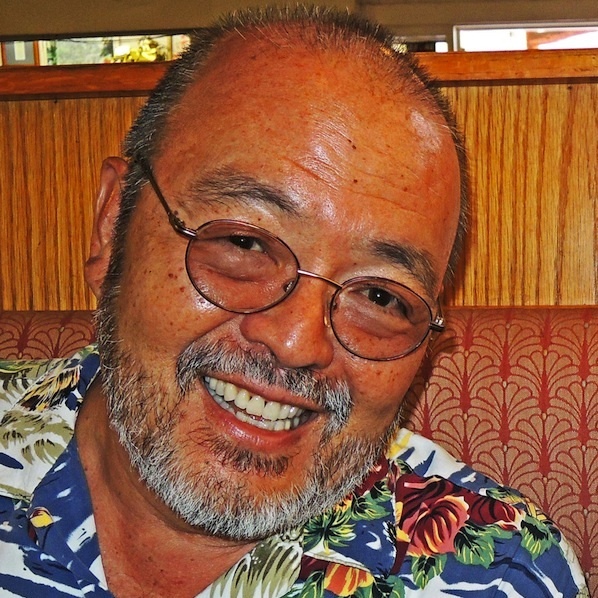 Richard Tokunaga (1951 – ) was introduced to Gidra by staff member Jeff Furumura, when he was 21 years old. “We were working in the student bookstore while I studied at UCLA, and he got me involved with doing a few newspaper covers. He knew that I was in art school and he liked my art.” Tokunaga free hand drew a self-portrait right in the Gidra office, which became Gidra’s 1972 March cover issue. The color of the shading inside the face of the self-portrait was inspired by the calligraphy in Tokunaga’s Japanese name. Since most signature stamps use a red-orange ink, the shading is a symbolic imprint of his signature on the original art piece, which makes it that much more unique to Tokunaga. Born in Hilo, Hawaii, Tokunaga and his family moved to Los Angeles in 1954 when Disneyland opened. He graduated from UCLA in 1974 with a BFA. Tokunaga worked in freelance graphic work before becoming Lead Production Artist at Parker & Son Printing, and became the Art/Video/Facilities Artist with GM Hughes Electronics until 1993. He is currently developing a product line for internet sales from Hawaii Island. 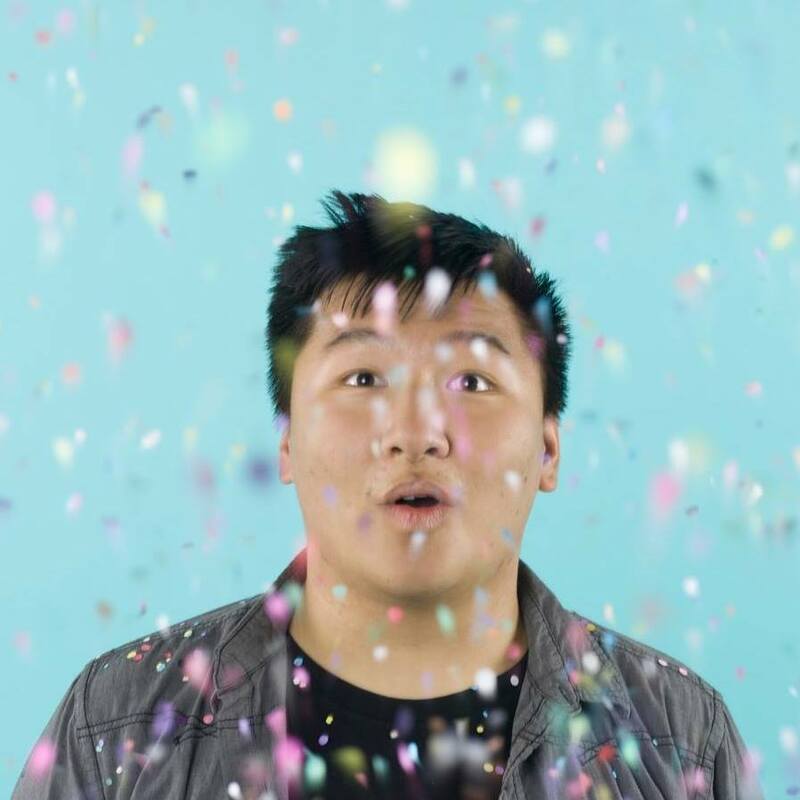 A recent graduate of Pomona College, Tran works in the intersection of social engagement, print, and art. He recently published a fake lifestyle magazine inspired by Martha Stewart and Oprah called Transcendence, featuring a variety of articles and recipes that he writes himself. If you would like to learn more about Tran’s work, visit his website at jackytran.net.